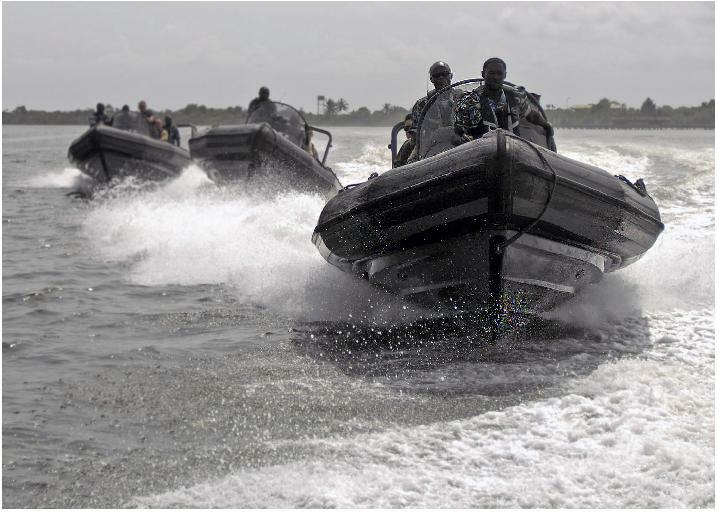 AFRICOM continues constantly expanding seabasing and riverine warfare activities, continuing efforts to monitor and control African nations and African resources for the benefit of the US and the West. 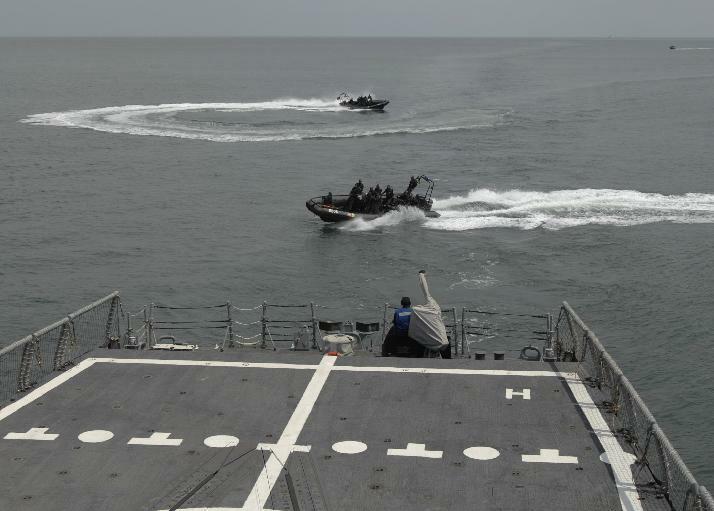 I’ve collected together a number of photos of seabasing and riverine warfare exercises from the last 12 months. 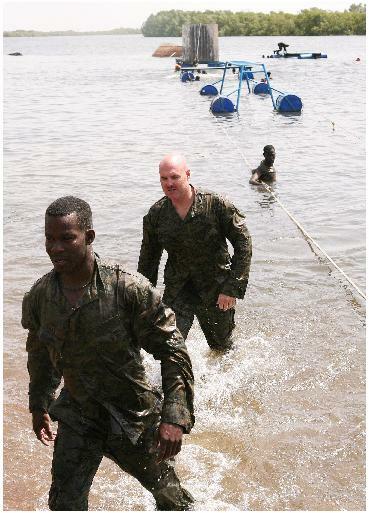 You can see how AFRICOM is busily engaged around the entire coastline of the continent, and inland on the rivers. AGADIR, Morocco - U.S. 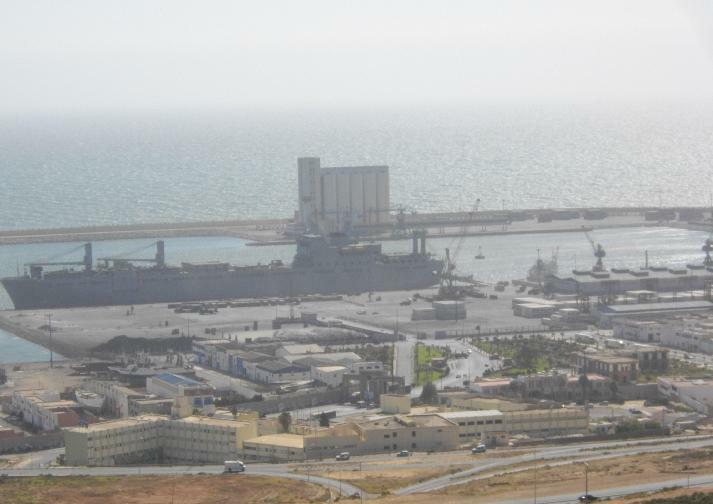 Naval Ship Pililaau ports at Agadir, Morocco recently as part of exercise African Lion 2011. The largest exercise sponsored by U.S. Africa Command, African Lion is a joint, combined U.S.-Moroccan exercise that is designed to promote interoperability and mutual understanding of each nation's military tactics, techniques and procedures. 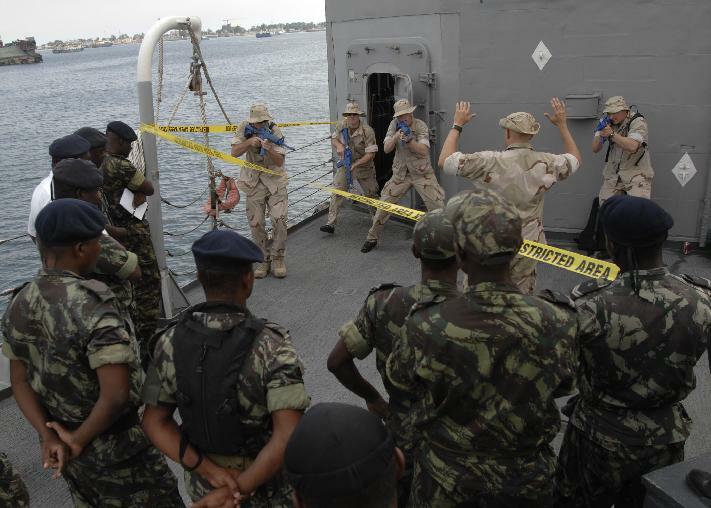 The exercise is scheduled to conclude June 18. 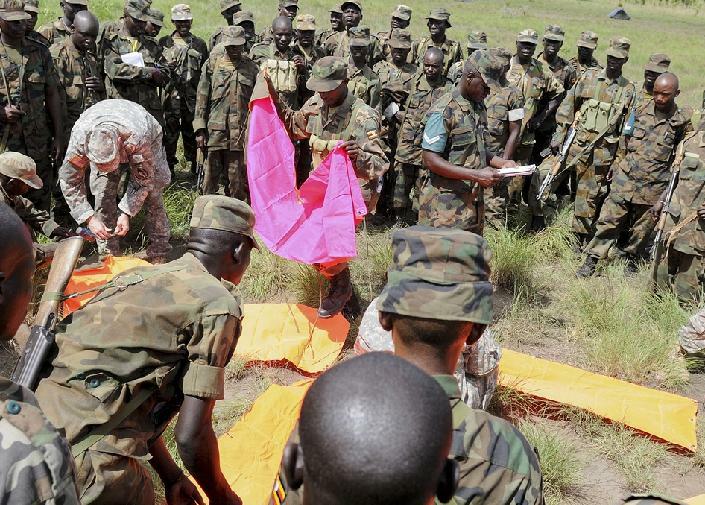 The US Africa Command has been busy all around and throughout the continent. I thought I would put together some of the pictures, so people could get a more visual idea of what is going on. U.S. Navy EOD1 John C. Richards, Master EOD technician assigned to the Navy Explosive Ordnance Disposal Mobile Unit Eleven (EODMU-11) gives the range control safety brief April 28th 2011, prior to range training in Namibia. 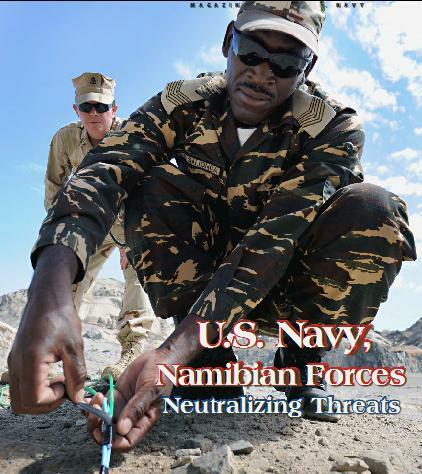 From the August 2011 issue of All Hands magazine of the US Navy. 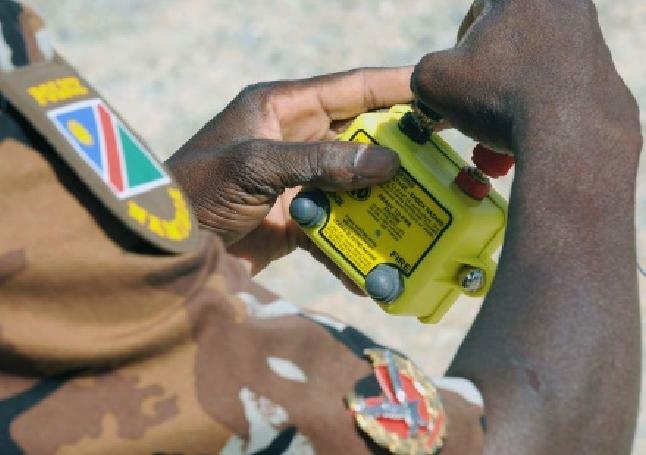 Namibia Defense Forces Warrant Officer Mashatu Jonas, Explosive Ordnance Disposal technician, initiates a demolition shot April 28 during the practical application phase of demolition initiation procedures in Namibia. 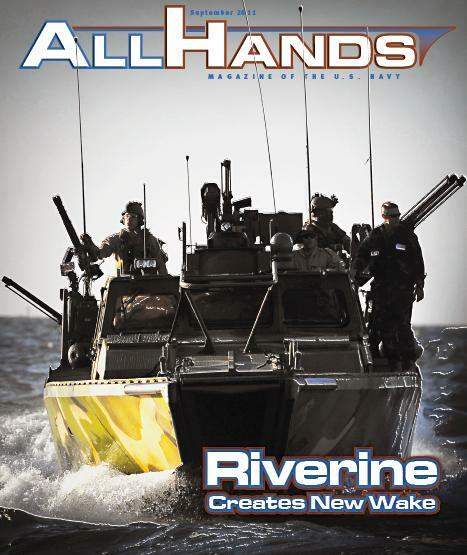 The US Navy’s September 2011 issue (large PDF) of All Hands Magazine featured the Navy’s new emphasis on riverine warfare on the cover and with an article. 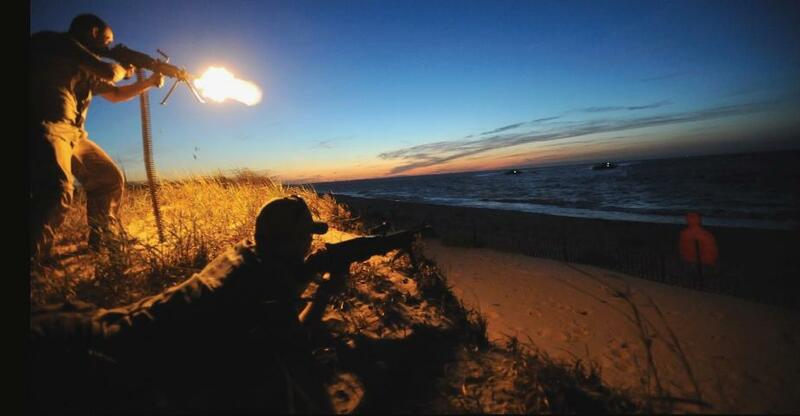 The article describes training exercises in the Chesapeake Bay along the coast of Virginia. Cover and feature article of All Hands Magazine September 2011. 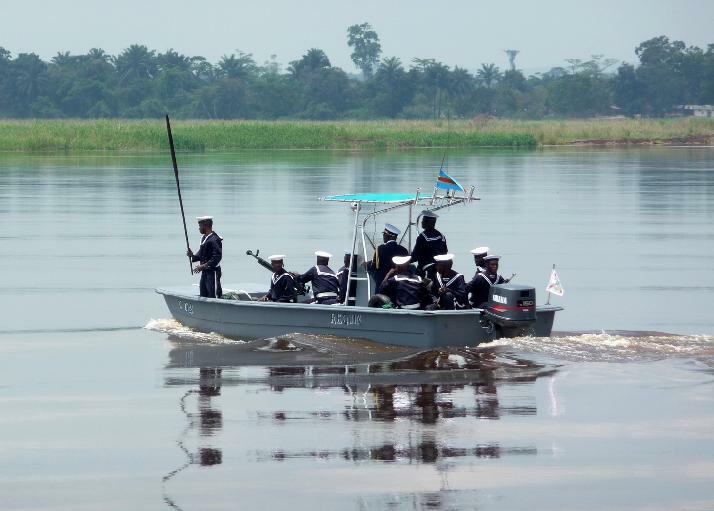 One way in which the Navy’s deployment of security forces has shifted is the use of its riverine patrol teams. 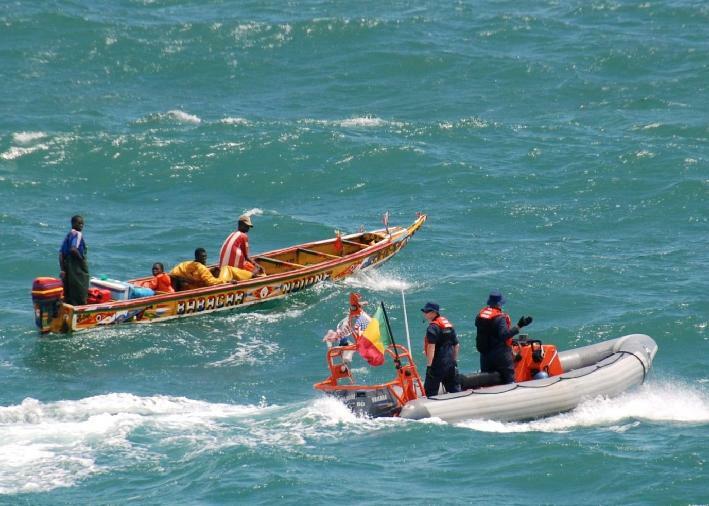 The focus now is bridging the gap between the brown-water (river) and blue-water (open ocean) patrol. 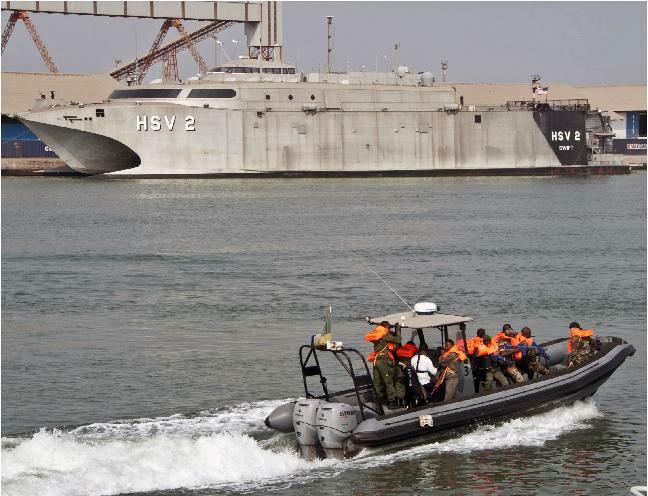 The Navy’s newest, state-of-the-art boat, the Riverine Command Boat (RCB), is pushing further into green-water (coastal) zones to achieve that goal. 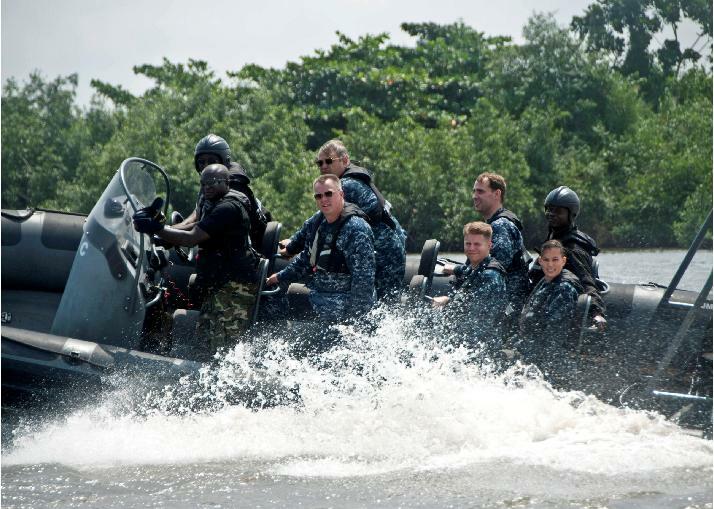 The RCB is a unique incarnation of the riverine mission, attached to Navy Expeditionary Combat Command’s Riverine Group 1, Riverine Squadron 2, Detachment 2 (RIVRON 2 DET 2) located on Joint Expeditionary Base Little Creek-Fort Story, Va. At the core, the Riverine Force is a combat-arms force that performs point-defense, fire-support and interdiction operations along coastal and inland waterways to defeat enemies and support U.S. naval and coalition forces. 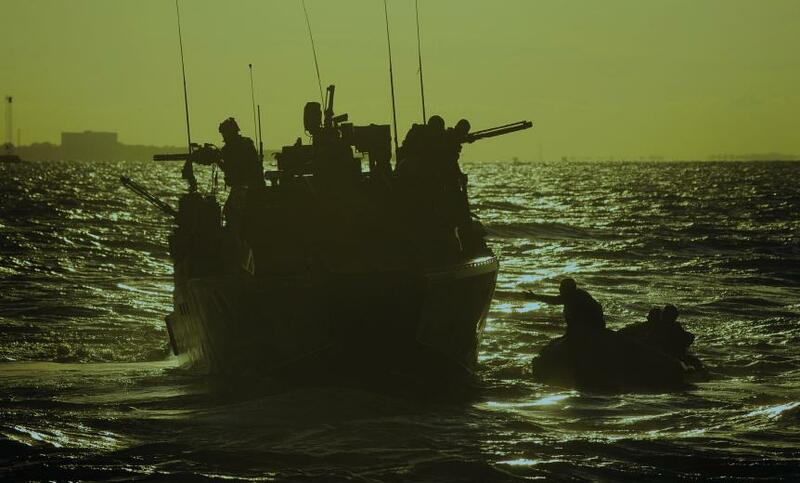 The RCB is a lethal supplement to their already menacing arsenal, giving riverine squadrons the ability to travel not only in rivers, but also out to bays and coastal regions, expanding the capabilities of command and control and the riverine squadrons’ maritime security reach. 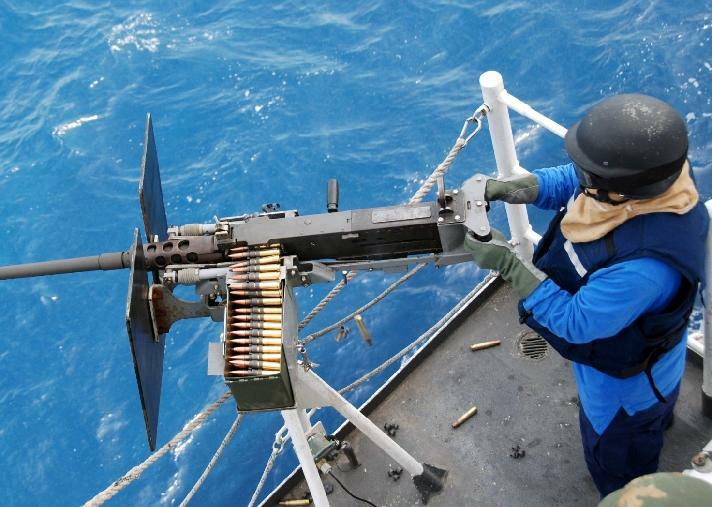 Riverine Command Boat fires the .50 caliber gun in reaction to simulated enemy forces on shore. 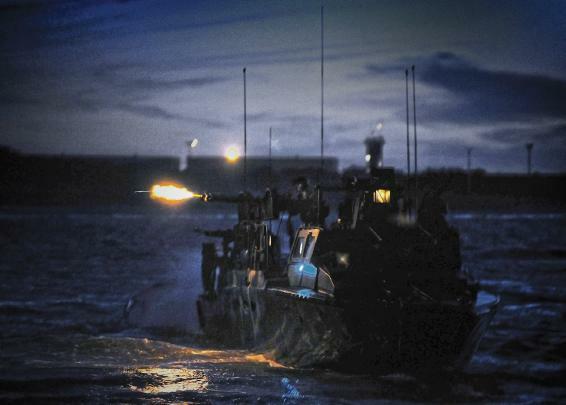 Sailors attached to to RIVRON 2 DET 2, role play as “enemy forces” firing simulated rounds toward Riverine Command Boat craft off the coast during a night training evolution. The RCB is equipped with an array of weapons that are sure to deter any potential foes. The arsenal includes a 7.62-caliber M240B machine gun, an electric motor-driven Gatling gun which fires 2,000 rounds per minute, a Mark-19 automatic grenade launcher, twin .50-caliber machine guns, an additional M2 .50-caliber machine gun and a remote-operated, .50-caliber gun. 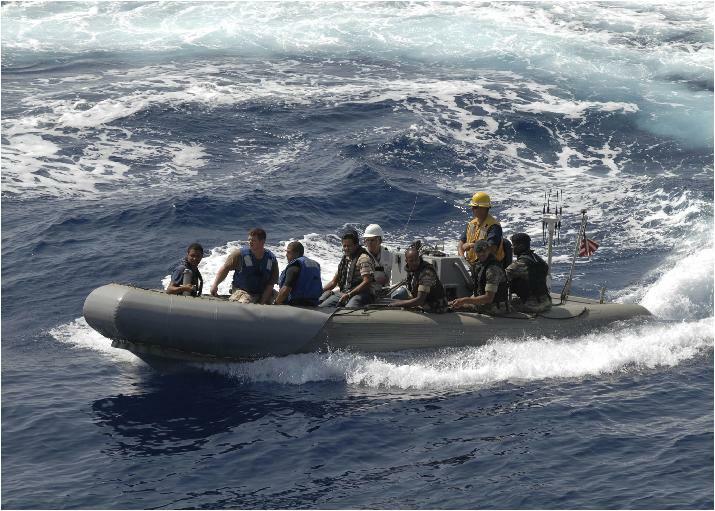 With its versatility, the RCB serves as the primary boat in combat or patrolling missions. 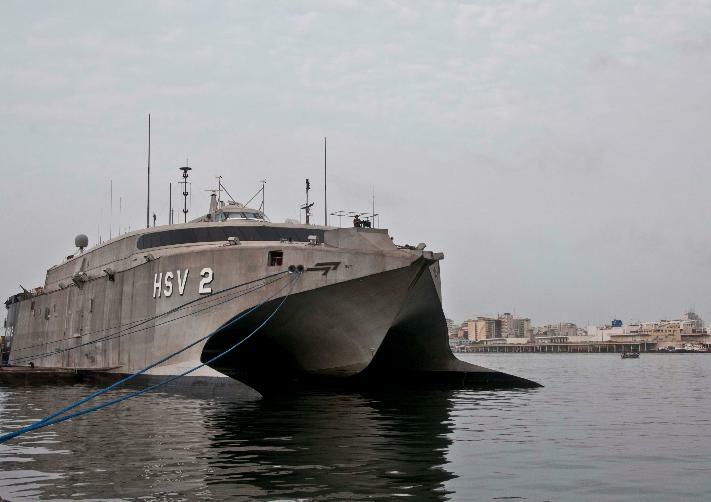 It can serve as a combat information center, and can even be configured as an ambulance boat. It is designed to land on a variety of shorelines, including solid rock, and to drop off and extract personnel from any area. 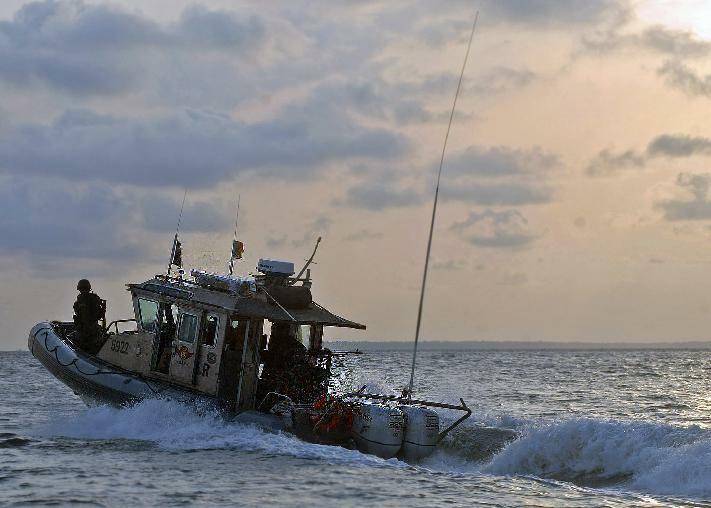 The Navy’s newest state-ofthe-art boat, the Riverine Command Boat, posts a force protection watch off the coast during a night training evolution. 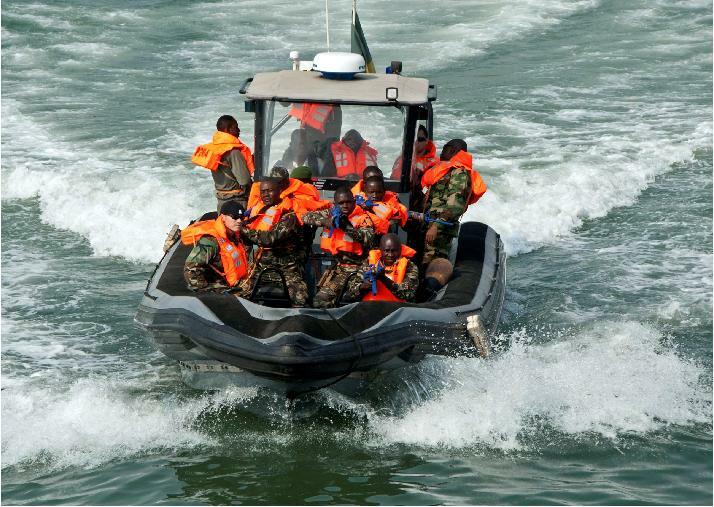 These exercises are all part of the activities pictured above around the coasts and creeks of Africa. The “enemies” in Africa will be Africans. Many of these “enemies” will be pan-Africanists and local patriots who do not want their countries run as resource troughs for US corporations. There are many lessons Africa should learn from the Pentagon’s counter revolution against the Arab Spring. Keep in mind that America talks about democracy, but the Pentagon is actively working against democracy in numerous places around the world. It has been particularly active in Africa. As the Arab Spring blossomed and President Barack Obama hesitated about whether to speak out in favor of protesters seeking democratic change in the Greater Middle East, the Pentagon acted decisively. It forged ever deeper ties with some of the most repressive regimes in the region, building up military bases and brokering weapons sales and transfers to despots from Bahrain to Yemen. of counter-insurgency, small unit tactics, intelligence gathering, and information operations skills crucial to defeating popular uprisings. These recurrent joint-training exercises, seldom reported in the media and rarely mentioned outside the military, constitute the core of an elaborate, longstanding system that binds the Pentagon to the militaries of repressive regimes across the Middle East. Although the Pentagon shrouds these exercises in secrecy, refusing to answer basic questions about their scale, scope, or cost, an investigation by TomDispatch reveals the outlines of a region-wide training program whose ambitions are large and wholly at odds with Washington’s professed aims of supporting democratic reforms in the Greater Middle East. 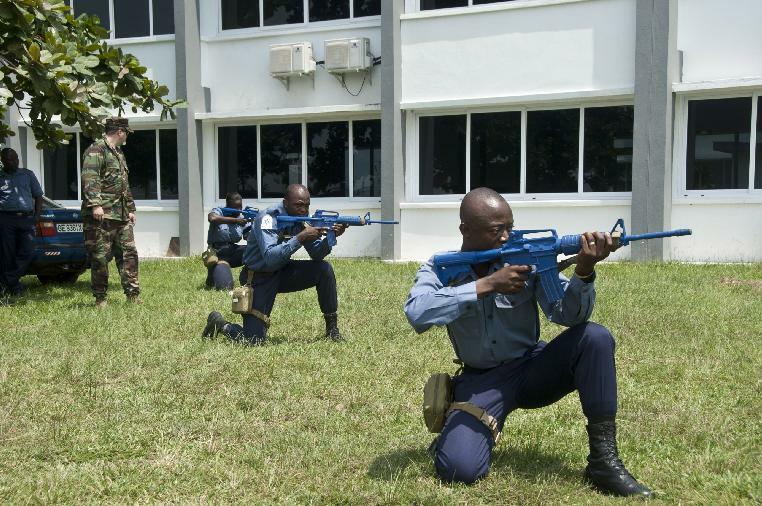 AFRICOMs exercises throughout the African continent have grown in number and size every year. 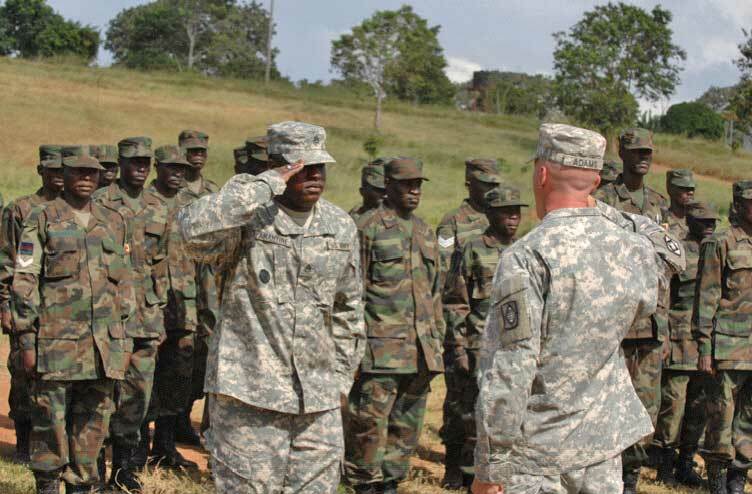 In countries where AFRICOM has been most aggressive, it has been consistent in working in the interests of repressive regimes and against the interests of democracy in the same way CENTCOM has been doing throughout the Middle East. 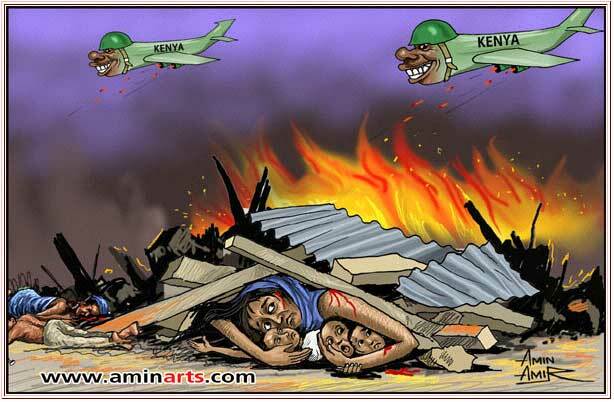 The main source of terrorism in Africa is the threat African militaries pose to African people. 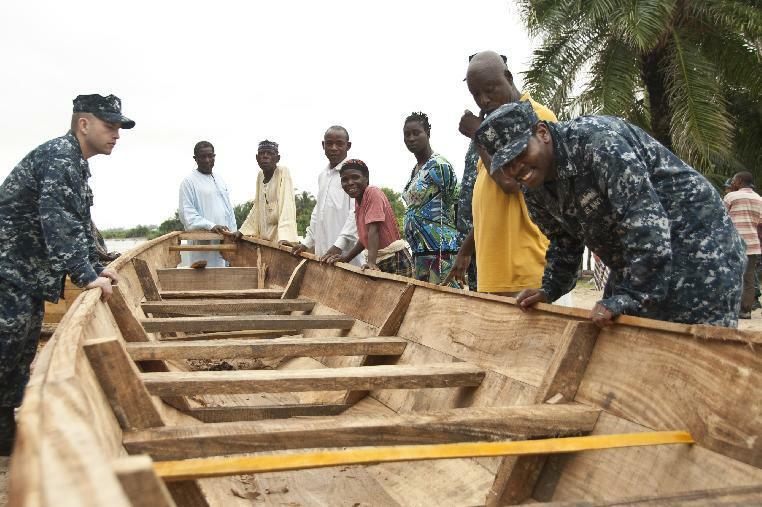 AFRICOM trains, supports, and expands that threat. … the two primary objectives of the USAU rose quickly to the surface: security and trade. 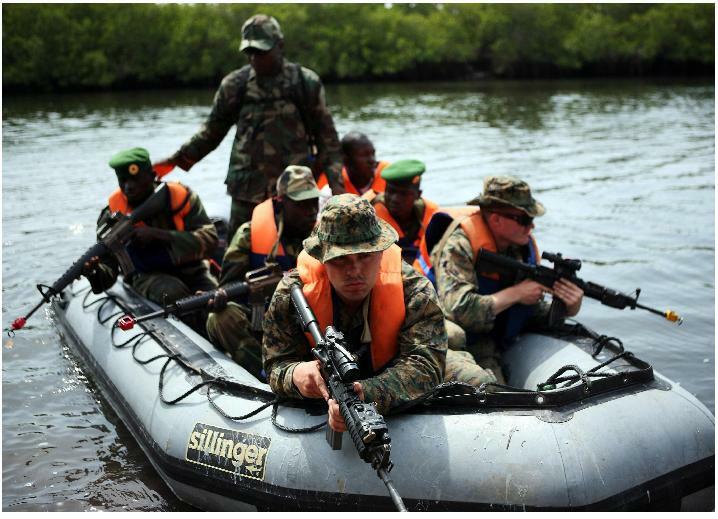 In terms of security, Battle confirmed America’s dedication to working with the AU and the US Africa Command (AFRICOM) to militarise the continent’s coastlines. 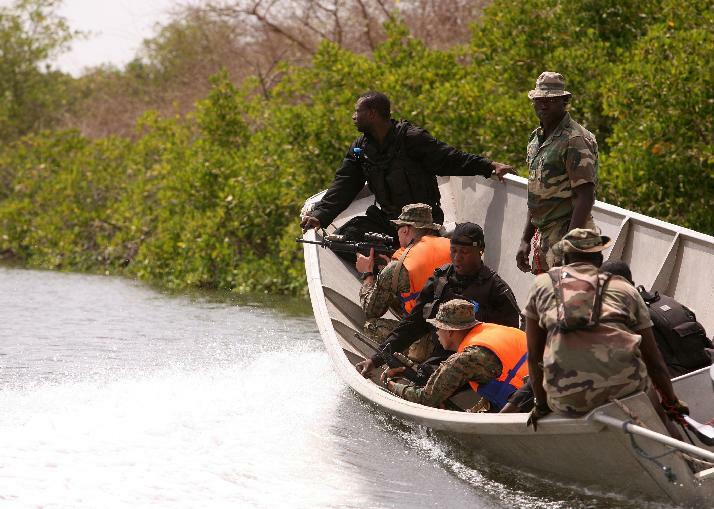 While he claimed that the goals of this mission include responding to increased maritime piracy and breaking cartels that traffic illegally in drugs and humans, he made it clear that the primary military objective is to protect US oil interests in the Gulf of Guinea, suppress local resistance movements like MEND in Nigeria, and secure a favourable climate for returns on investment for American corporations. When pressed, Battle justified his call for militarisation by invoking the vague and poorly substantiated spectre of ‘terrorism’. In terms of trade, Battle spoke excitedly about the partnership between the US, the AU, and the Corporate Council on Africa (CCA) to integrate and liberalise the continent’s national economies. Battle’s explicit vision is to facilitate the efforts of US corporations such as Chevron, Delta, and GE (which he mentioned explicitly by name) to expand investments across multiple African nations by ‘harmonizing trade rules’ and ‘simplifying regulations’. He praised the AU for developing ‘free trade’ across the continent at a faster rate than the EU was able to accomplish over a similar period of time, and hailed USAU’s vision for an Africa that is increasingly open for business to American companies. Battle was entirely prepared to defend his role as facilitator of American military intervention in the service of private American capital. And this without even the usual claims to altruism: he didn’t even gesture to the pressing problems of poverty, inequality, and exploitation in Africa. … has been thoroughly co-opted by the US government and multinational capital. 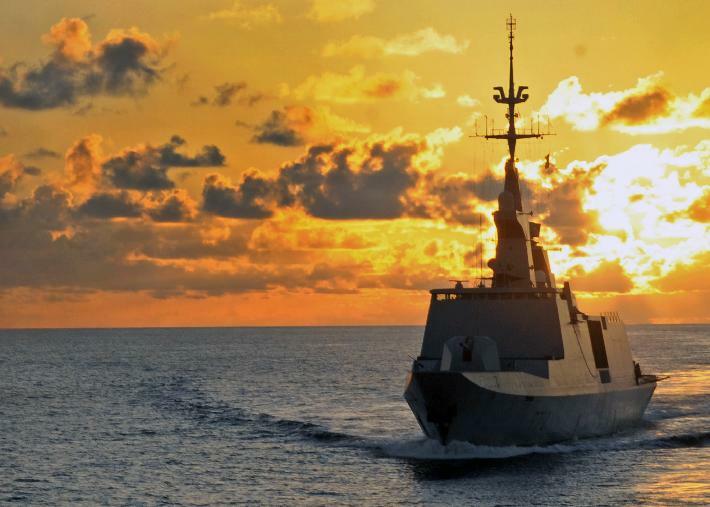 Read the entire article to get the full import of the acquisitive views of USAU Battle: The US, the AU and the new scramble for Africa. Roger Pociask has been doing a superb job of following developments with AFRICOM, and with how it is understood by Africans in relation to how it represents itself. 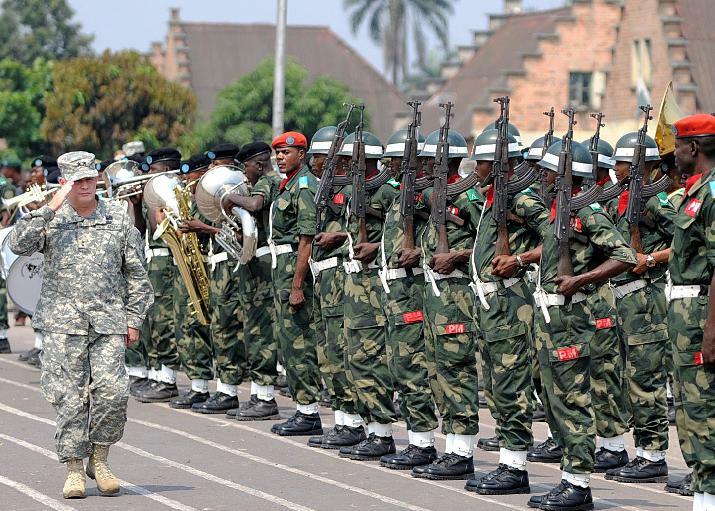 AFRICOM, the US Africa Command is the main engine of US foreign policy in Africa. It has far greater funding and personnel than the State Department. State does have the ACOTA program, but that is also a military program employing military contractors, mercenaries as a part of training African proxies. 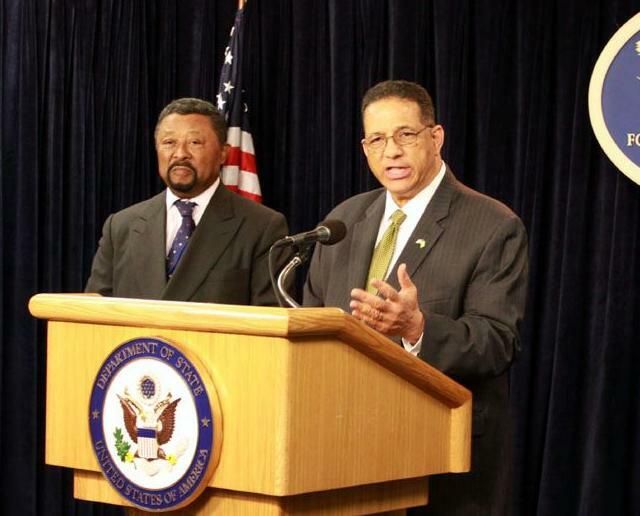 Feb 12, 2010 “In global world, US interests & African interests strong overlap. 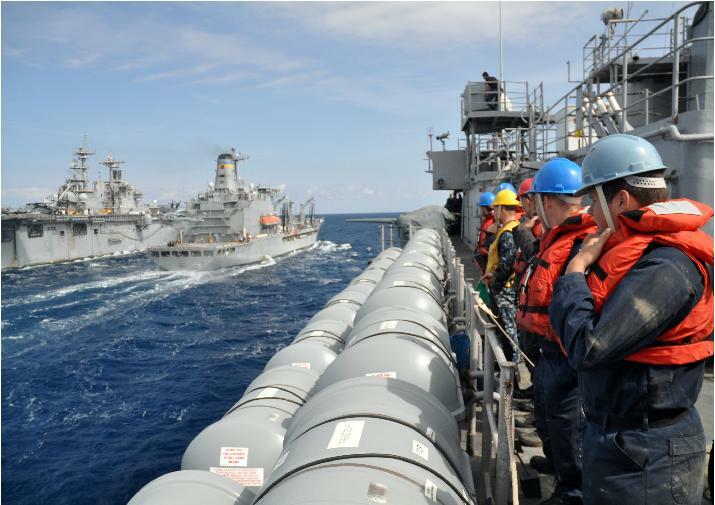 Obvsly US mil promotes US interests. 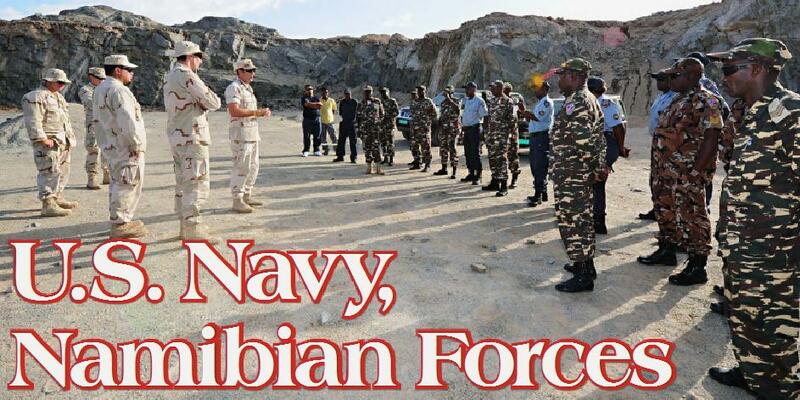 Wrldwide.” Vince Crawley, Deputy Public Affairs Officer, U.S. Africa Command. … let us ask ourselves why a great nation like America seems to be more interested in Africa’s security, than ourselves as Africans. Is it for the sheer love of our continent or it is for a strategic purpose? Is it in our interest, in their interest or both? Today, Africa has a combined GDP of about US $ 1.5 trillion (World Bank, 2008 GDP Estimates). Nevertheless, our contribution by volume to world trade is less than 5% and most of the goods exported from Africa remain raw, unprocessed commodities such as Cocoa, diamond, gold, bauxite, timber, vegetables and fruits. Africa remains highly endowed with natural resources which hardly get processed into finished products which explain our weak position in the world today. Also, a staggering 33 out of the 53 countries in Africa are classified as Least Developed Countries (LDCs) by UN. These discoveries led David Lamb to conclude, arguably “there is not another continent blessed with such abundance and diversity”. I therefore, very much agree with an observer who said “Africa is not poor, it is only poorly managed”. President Obama, addressing Africa from the floor of the Ghanaian parliament in July 2009 rightly said “Africa needs strong institutions, not strong men”. Africa needs therefore to develop the institutions that will create the basis for sustainable socio-economic development. Once again, all of a sudden, Africa has become the center stage for the great powers in the world to flex their economic and military muscles. In a fashion akin to that of the 1884 scramble for Africa, the continent is now inundated by competing interests from China, USA, Russia and the EU. Chinese flow of FDI into Africa has overtaken World Bank investments and rivaled that of US. The gold of South Africa and the former Gold Coast, the diamonds of Botswana, Liberia, Namibia and Sierra Leone; the timber and uranium of the Congo; the oil reserves of Sudan, Nigeria, Equatorial Guinea, Libya, Angola and lately Ghana; the Cocoa of the Ivory Coast and Ghana have witnessed increased attention by investors from these very powerful countries. The irony of the situation is that whiles this inward flow of FDI on the surface looks promising for us in Africa; unfortunately, they seldom come on a win-win basis. 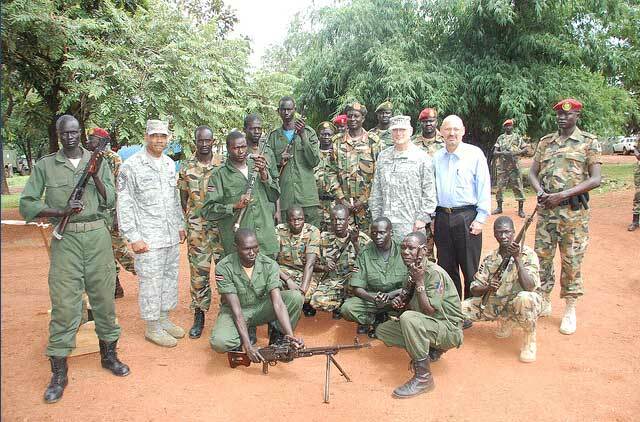 It is incontrovertible that Africom creates synergy and harmonises US Military Operations in Africa. All-Africa Students Union is aware the Africa Partnership Station (APS) of Africom (Ghanaweb, 21st January 2010) is already in the implementation phase in many regions of Africa. This position is well understood by us. 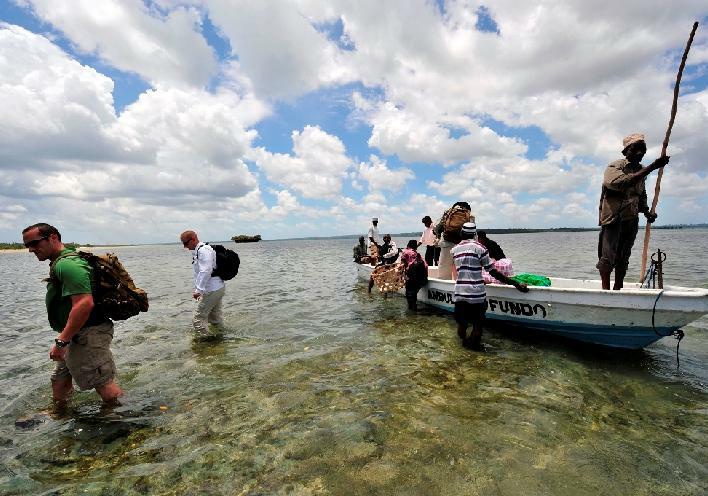 However, the reception and response from many African citizens to AFRICOM have been that of suspicion and mistrust as is reflected by the on-going campaign against Africom by many members of civil society. These fears are not far-fetched, knowing clearly the role played by the CIA in the overthrow of the likes of Ghana’s Kwame Nkrumah, the support for dictators like Mobutu Sesekou and the indifference of US towards deviants like the late Idi Amin and Jonas Savimbi. Africans are also reminded of the failure of the UN (of which US plays the most significant role) to protect the life of Patrice Lumumba – the first democratically elected leader of the Congo- and to avert or mitigate the Rwandan genocide and nip the Liberian civil war in the bud. Again, let us not forget Liberia was a creation of the US government for freed African slaves, a situation which therefore imposed a moral obligation on America’s conscience to act when it was most needed. 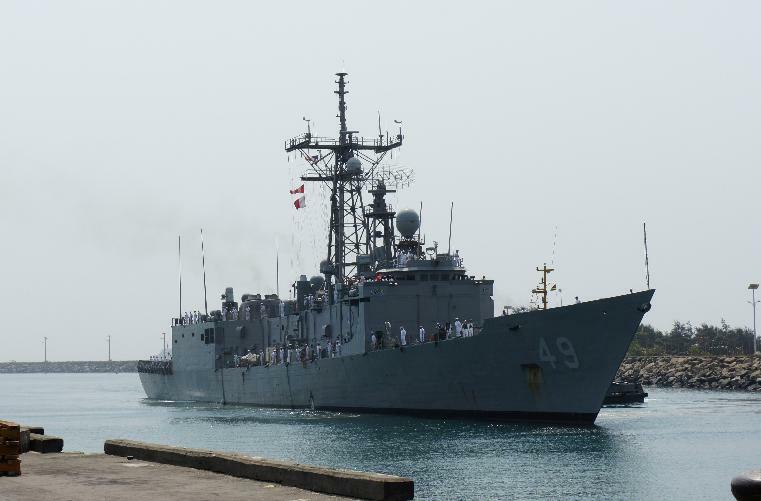 As much as Africom, as argued by the US government, seeks to help establish and promote peace in Africa, it cannot be divulged from America’s awakened interest in protecting its own interest in Africa, especially the rich oil and gas reserves the continent holds. The US must therefore come clean and clear, if it wants to be taken serious by Africans. 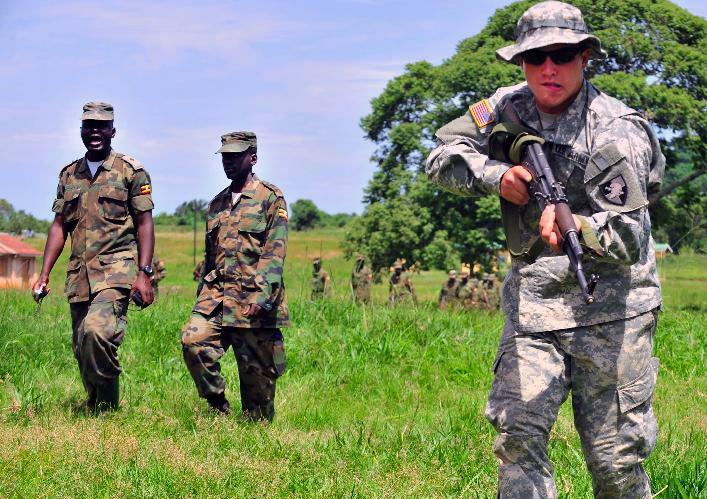 The US needs to disclose fully its interests in Africa through Africom and not assume the people of Africa are unaware of the possibilities of any hidden agenda. 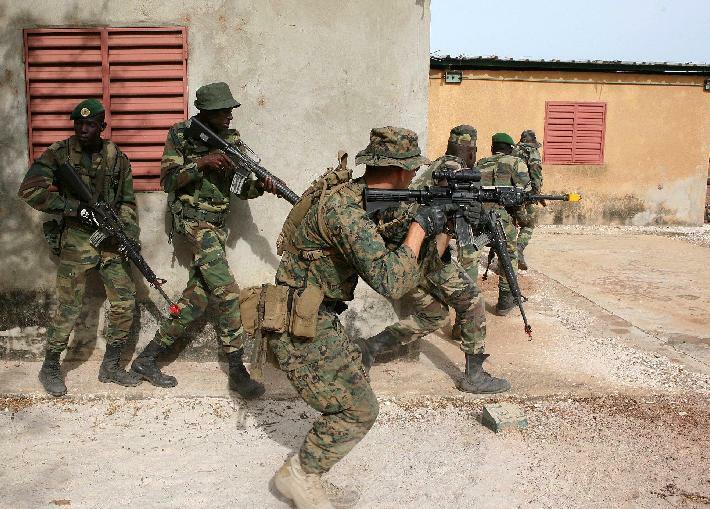 Though Africom undoubtedly can build the capacities of any AU Stand-by force to respond effectively to the threats of terrorism and conflicts on the continent, let us ponder over the question “Whose war are we fighting, what price are we to pay and for how long?”. The US is like the big-brother in the comity of nations which has imposed on itself the task of policing the world. It is exceptionally a great nation, which many of us admire. Also, history is replete with the intervention of US in many wars across the globe. We know over 57,000 gallant US military personnel sacrificed their lives to save what is today South Korea. We know thousands more sacrificed their lives to end the World War II. But we also know of America’s failure in the Vietnam, of its inability to stop rogue North Korea from acquiring nuclear power and its prolonged, protracted on-going war in Iraq and Afghanistan. As President Harry Truman once observed, “what price should America pay to defend its freedom?”. Whatever the answer may be, history has taught us that militarization is definitely not the answer and not so even in Africa. The All-Africa Students Union stands opposed to any attempts whatsoever to establish any military base in any part of Africa. We belief the militarization of Africa will not only pose danger to our peace but also create conditions of fear and rivalry amongst our people. As Dr. Kwame Nkrumah once said “Africa is not an extension of any other colony”. We do not want to be drawn into the conflict of powers which seek to out-maneuver one another in pursuit of “super-powership”. 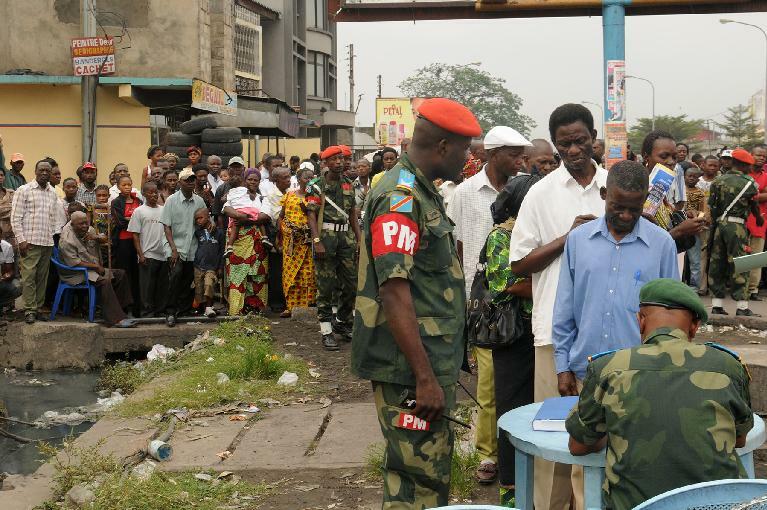 To the contrary, Africa needs democratization, not militarization, more than ever now! “The decisiveness of the short period of colonialism and its negative consequences for Africa spring mainly from the fact that Africa lost power. Power is the ultimate determinant in human society, being basic to the relations within any group and between groups. It implies the ability to defend one’s interests and if necessary to impose one’s will by any means available. In relations between peoples, the question of power determines maneuverability in bargaining, the extent to which people survive as a physical and cultural entity. When one society finds itself forced to relinquish power entirely to another society, that in itself is a form of underdevelopment”, Rodney, Walter (1972). On the way forward, All-Africa Students Union asserts the need for Africa to regain power, one that is of the people, for the people and by the people. AASU does not blame other countries for Africa’s current woes, but so are we not oblivious to the dangers of interference, of not controlling our own destiny and spearheading our own initiatives. However, we still regard the UN as the most credible international institution to partner Africa to meet the challenges of the 21st century. The unilateralism and the imposition of foreign crafted policies will never save Africa, unless there is ownership from the African people themselves. 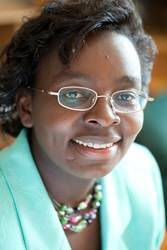 The All-Africa Students Union reaffirms her belief that the creation of equal opportunities for all Africans to realise their full potential, the consolidation of democratic institutions such as independent electoral commissions; a vibrant and responsible media; a functional and independent judiciary that upholds the rule of law; the guarantee of universal adult suffrage and the ability of the greatest majority of citizens to elect and change their own governments at will as the best guarantees for security and sustainable development in Africa. AASU also calls for the redemption of the ideals of the founding fathers of African political independence- a strong and united Africa- without which we remain vulnerable to the vagaries of the politics of our world. In the words of Kwame Nkrumah, may Africa continue to march Forward Ever, Backwards Never in the face of all these challenges! 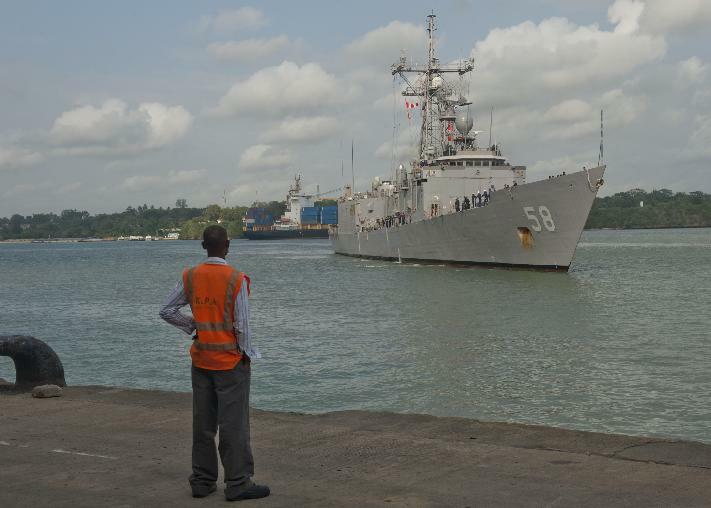 Roger Pociask Has done an excellent job of recording the contradictory and confusing statements coming from AFRICOM in its attempts to explain and define itself. Much of the material here was featured in his October and November postings. 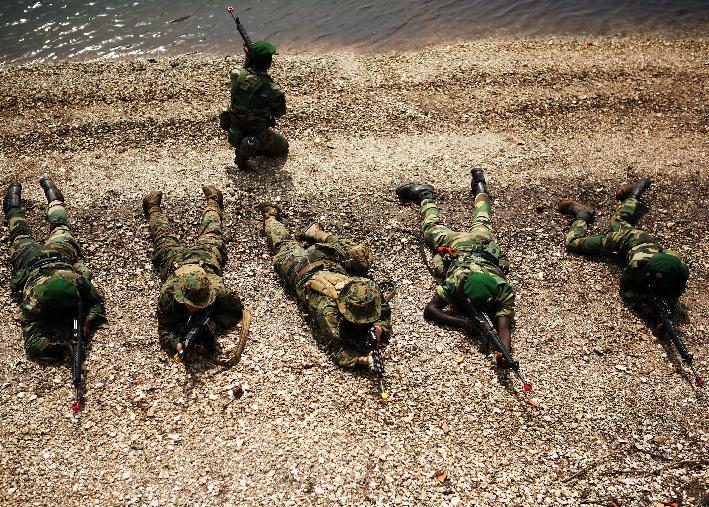 Hundreds of Somali soldiers trained with millions of U.S. tax dollars have deserted because they are not being paid their $100 monthly wage, and some have even joined the al-Qaida-linked militants they are supposed to be fighting. The desertions raise fears that a new U.S.-backed effort beginning next month to build up Somalia’s army may only increase the ranks of the insurgency. 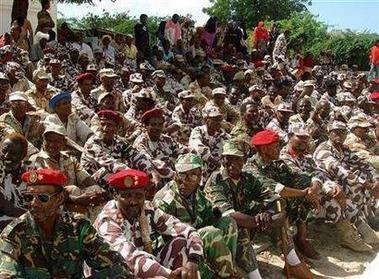 About 500 of the Somali transitional government troops have been wrapped up training in Djibouti. Reports say that the Djiboutian national army and French forces had concluded the military training for the transitional government troops which continued for months in Djibouti especially the high Academic of Al-haji Hassan, a military centre in Djibouti which named the former Djiboutian president Al-haji. 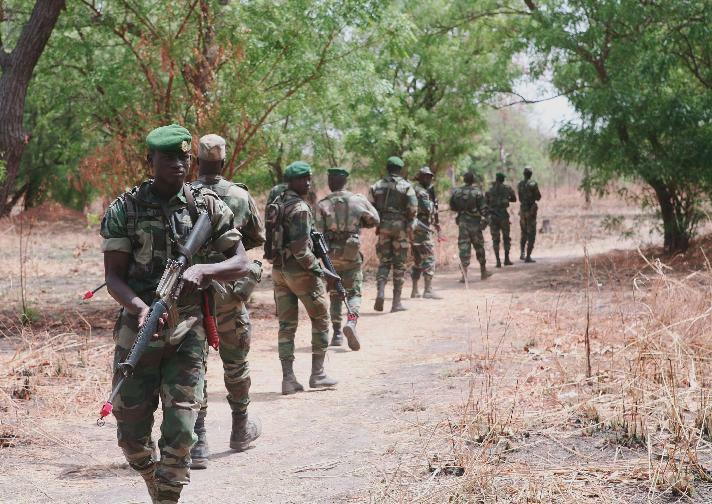 Reports from Djibouti say that the UN was playing an important role for the rebuilding the security forces of the transitional government which it had already established and the troops who took the military training will return to the home country. In an effort to rebuild the tattered Somali military, the United States spent $6.8 million supporting training programs for nearly 1,000 soldiers in neighboring Djibouti last year and about 1,100 soldiers in Uganda last year and earlier this year, the State Department and Western diplomats told the AP. 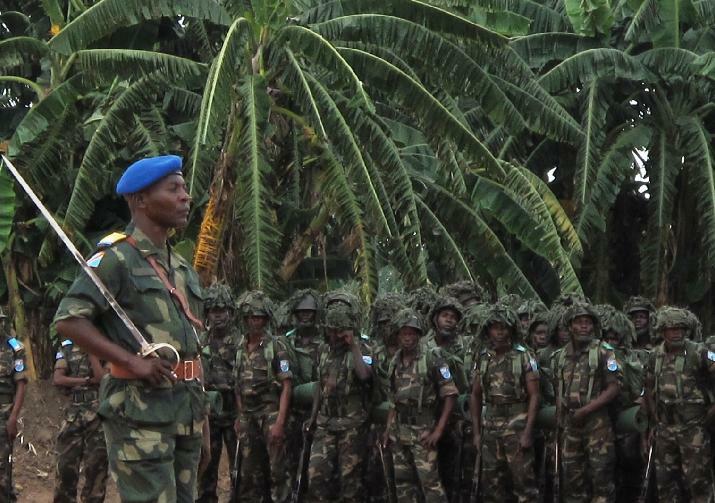 The troops were supposed to earn $100 a month, but about half of those trained in Djibouti deserted because they were not paid, Somali army Col. Ahmed Aden Dhayow said. “Some gave up the army and returned to their ordinary life and others joined the rebels,” he said. Somalia’s state minister for defense, Yusuf Mohamed Siyad, confirmed some trainees had joined the al-Shabab militants, but he declined to specify the number of deserters. The U.S. has provided $2 million to pay Somali soldiers and purchase supplies and equipment in Mogadishu since 2007, according to the State Department. Another $12 million went toward transport, uniforms and equipment. Earlier this year, trainee soldiers had their guns confiscated and replaced with sticks after a riot broke out between those who had been paid and those who had not. 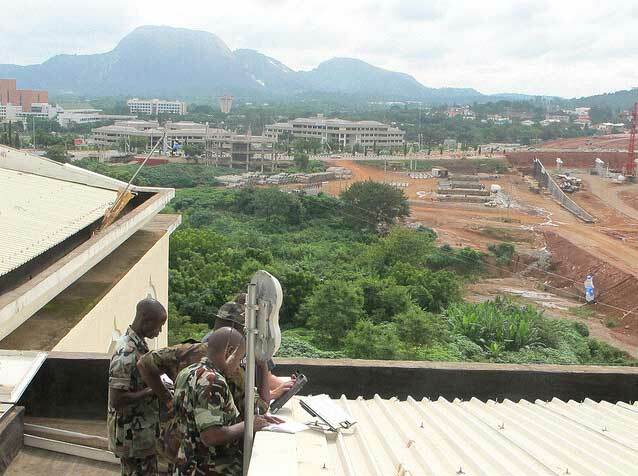 The African Union, which has peacekeepers at Camp Jazira, temporarily suspended payments over fears that men who had been paid would be killed by those who had not, an official involved with the training said. Soldiers also had problems with some battalion-level commanders stealing their rations, a European official said. The U.S. has sent a shipment of food this month to try to help the malnourished soldiers regain their strength, he added. Both officials spoke on condition of anonymity because they were not authorized to speak to the media. 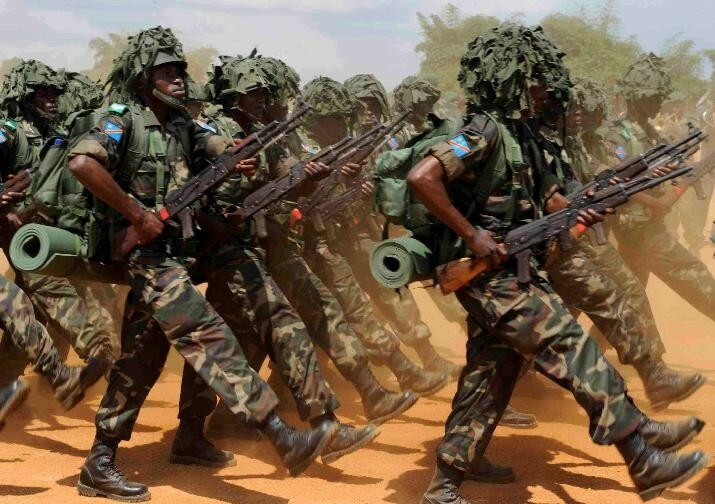 Siyad, the defense minister, said the U.S. was currently funding the salaries of around 1,800 Somali soldiers, and another 3,300 soldiers were being paid by other donors. 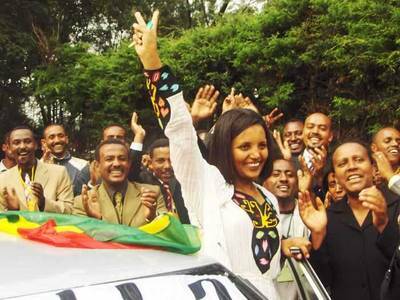 However, that is only about half the 10,000 troops allowed under the peace agreement that formed the coalition government. Other “solutions” may be highly dangerous to the local population. They have certainly proved devastating in the past. [T]he Somali government is forced to rely on donor nations that are often slow to pay, undercutting soldiers’ confidence in regular paychecks, and feeding desertions and corruption. There are few signs Somalia’s government will ever be able to deliver social services, shape military strategy and pay its army on its own. Siyad said the success of the multimillion-dollar training programs funded by American and European taxpayers is completely dependent on being able to pay the graduates. “If this is not done, then we shouldn’t even start. Otherwise the soldiers will just join the opposition,” he said. 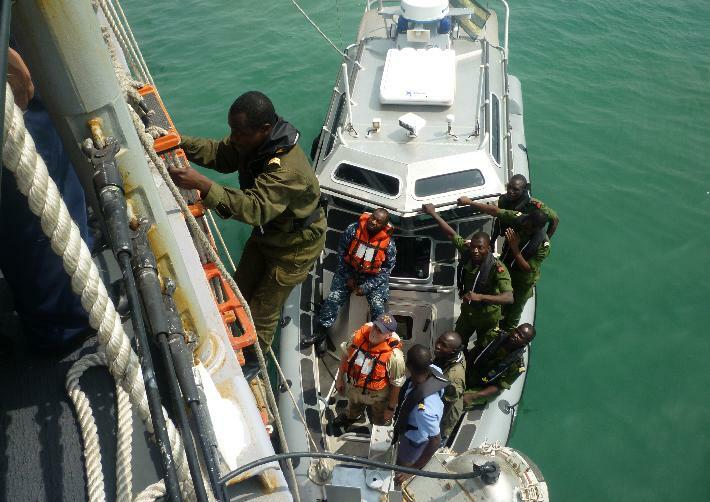 Somalia is one of the major projects of AFRICOM, the US Africa Command. If you are a US taxpayer, you may want to consider if this is worth your support, especially considering the dismal prospects for the present Somali government. What does the US gain for the money invested? Results are what matters, not intentions. Is this a good investment for your money? h/t africa comments where you may find a great deal more information about this story and more details as to exactly what is going on.